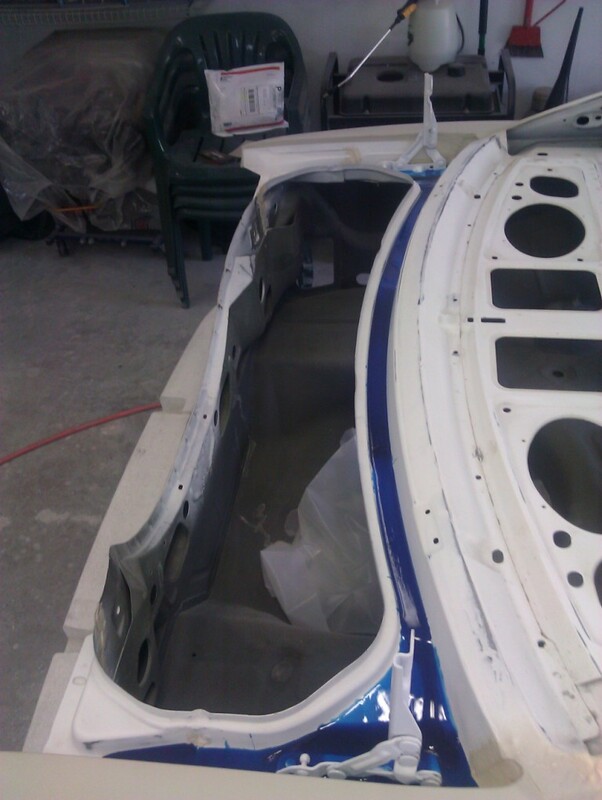 Now with all the heavy bodywork out of the way, I can concentrate on the small dents & dings, getting the car in primer, and block-sanding. 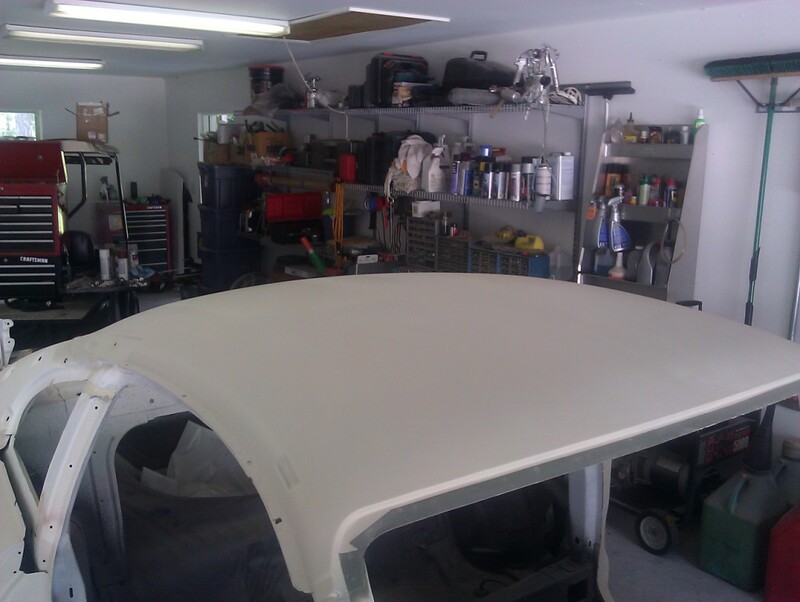 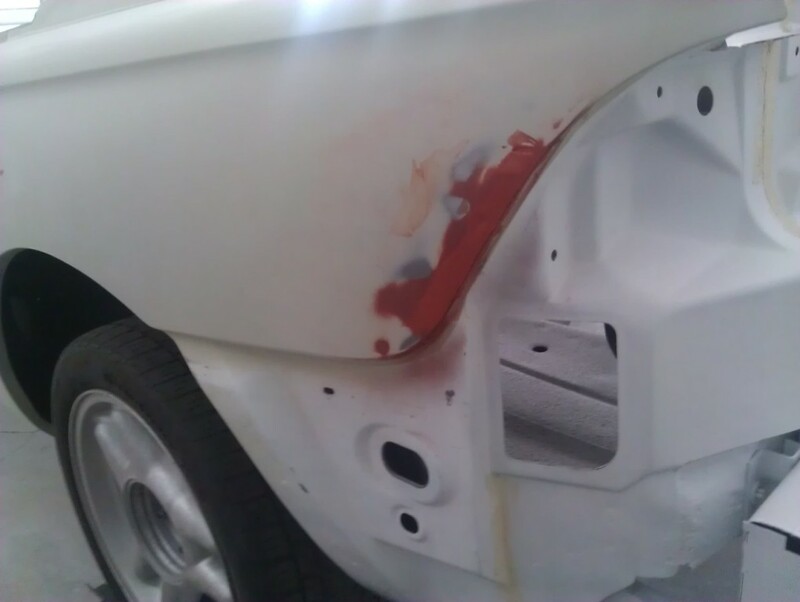 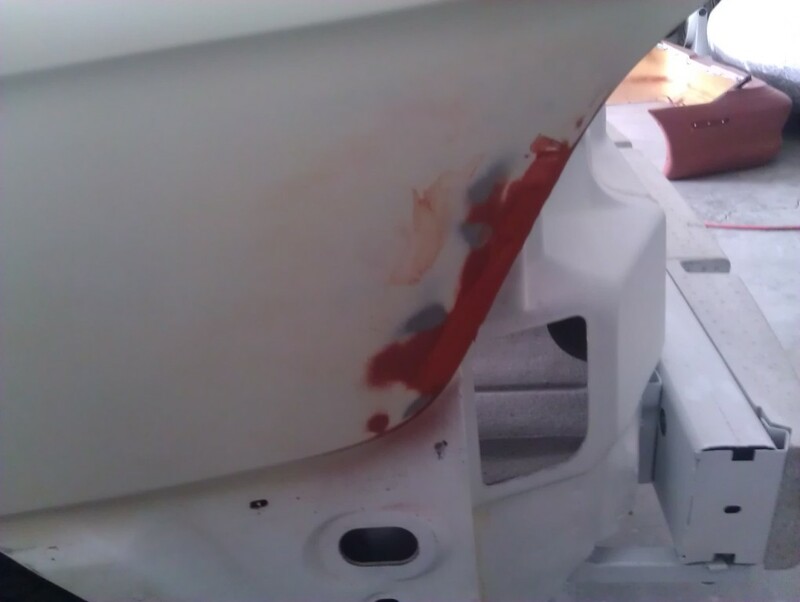 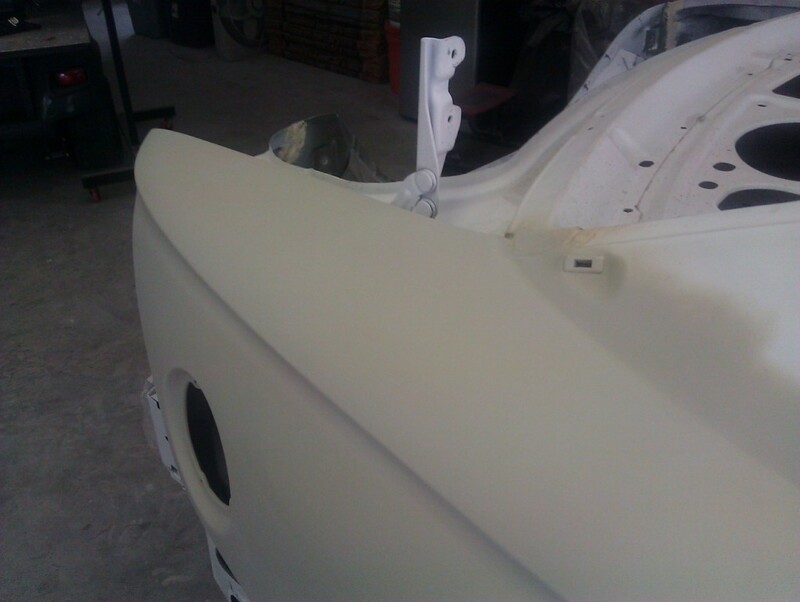 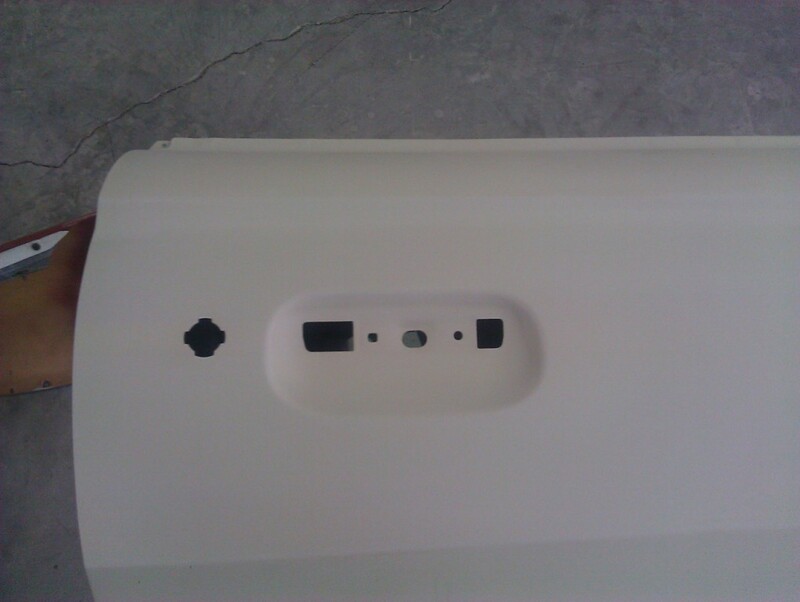 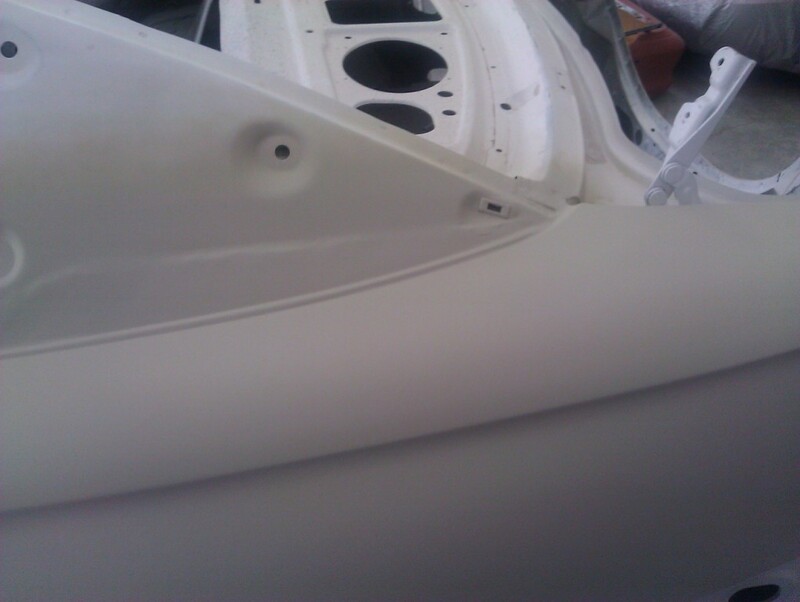 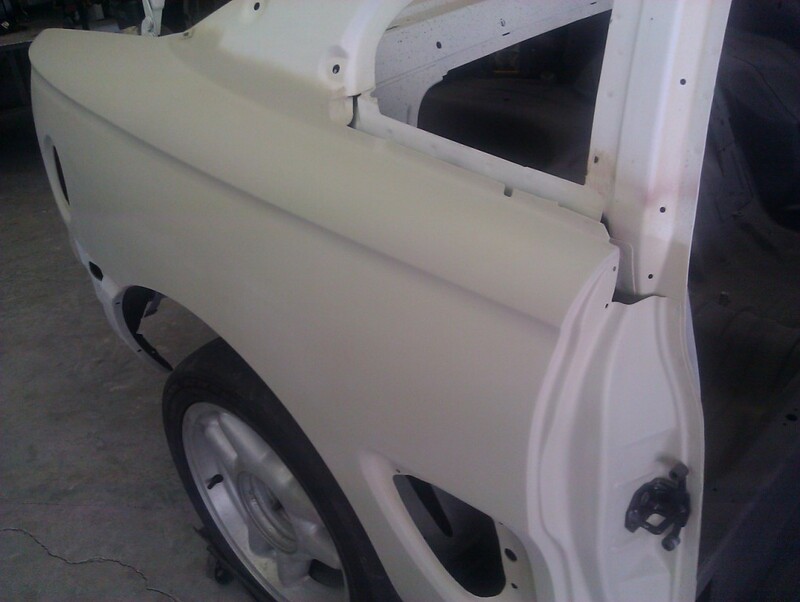 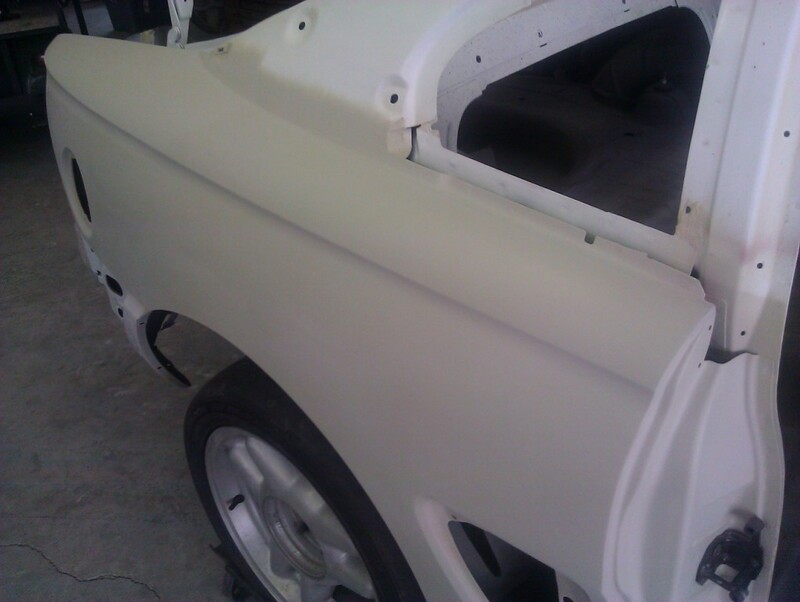 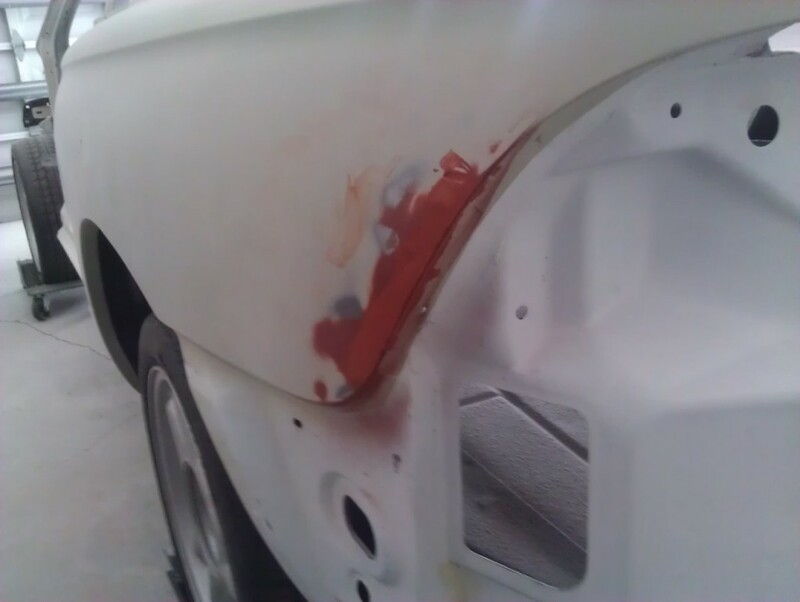 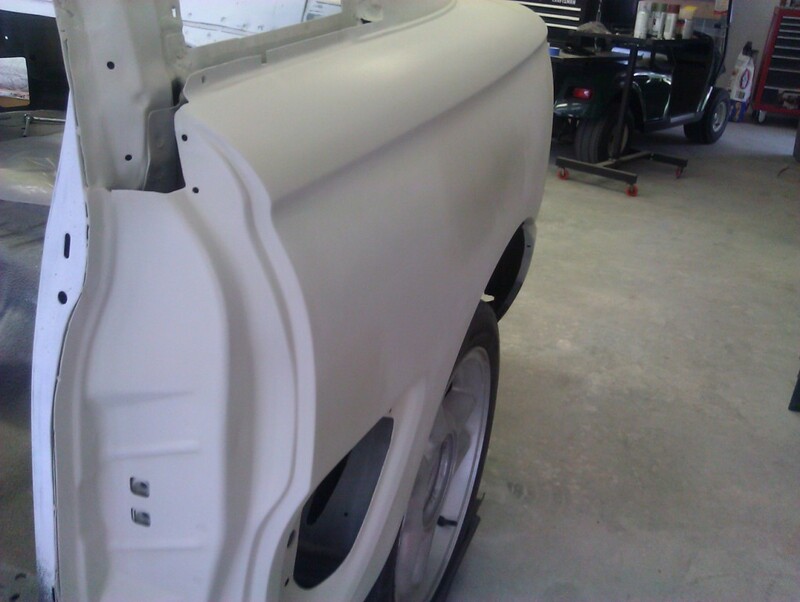 My goal is to get the shell, doors and deck lid all ready for paint and then painted. 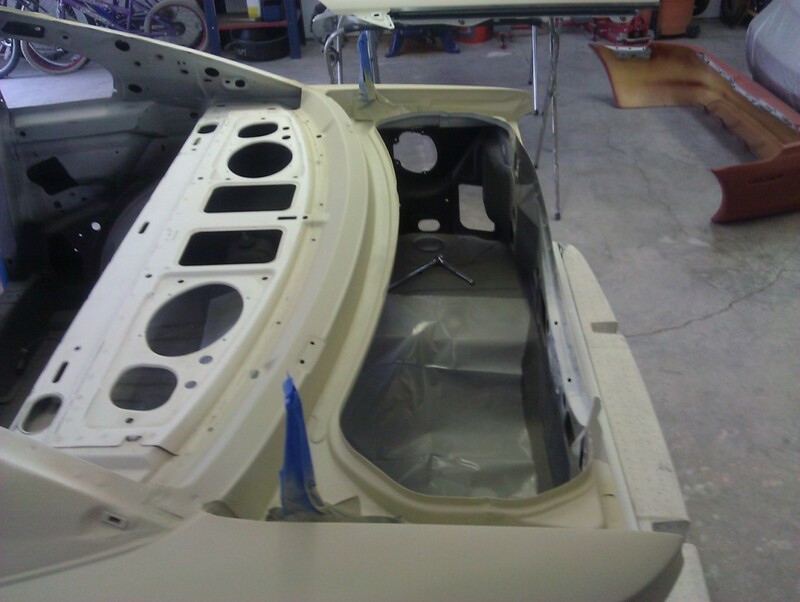 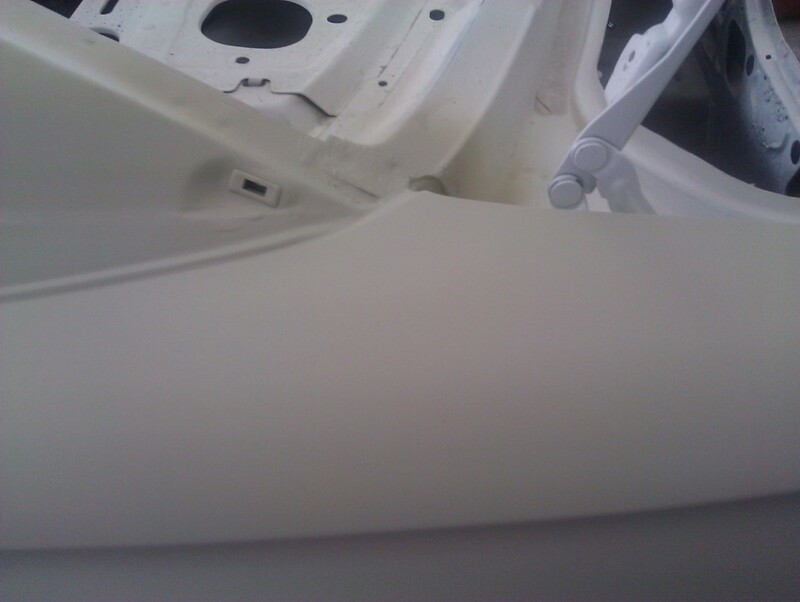 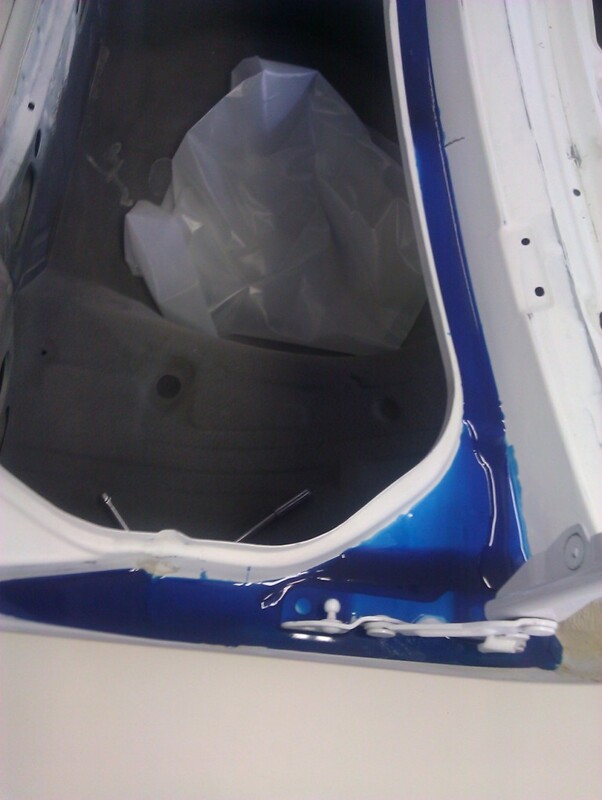 That way I can seal up the interior and get some reassembly done on the car. 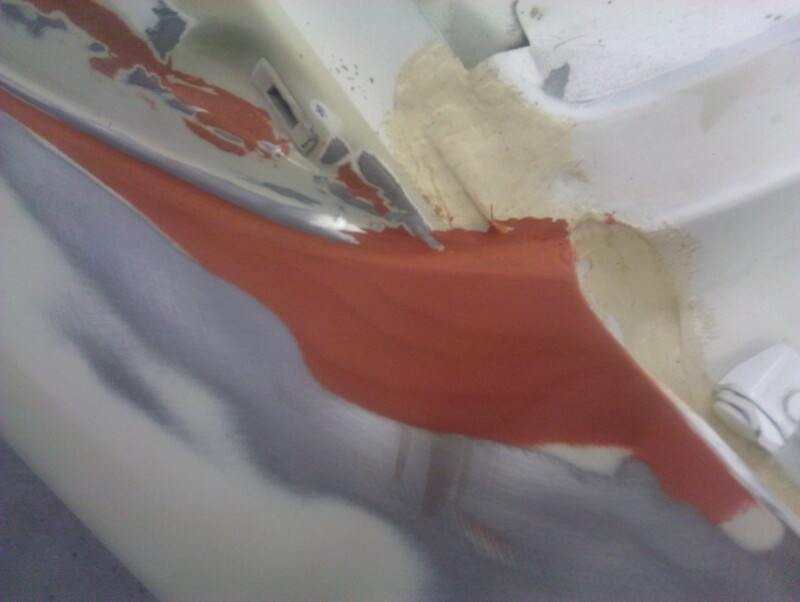 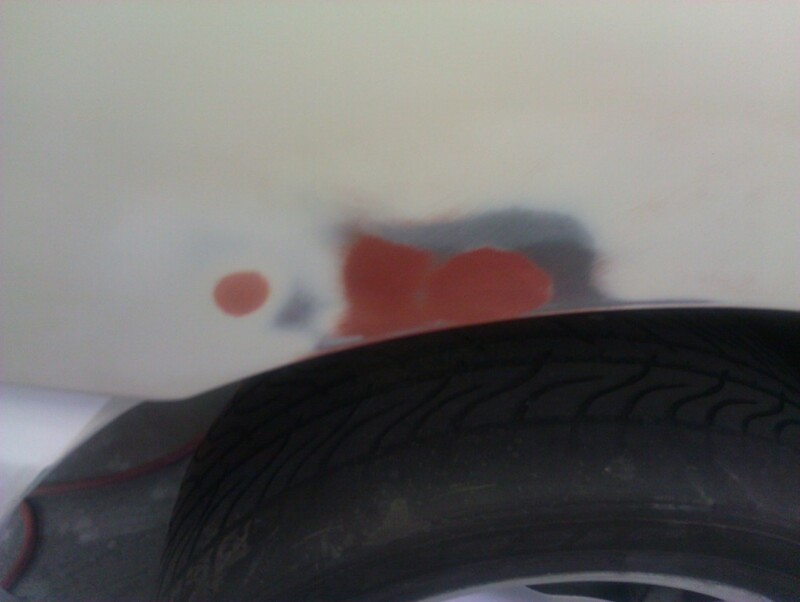 On the drivers-side quarter, there were a series of small dents at the trailing edge and the top near the trunk opening needed some attention. 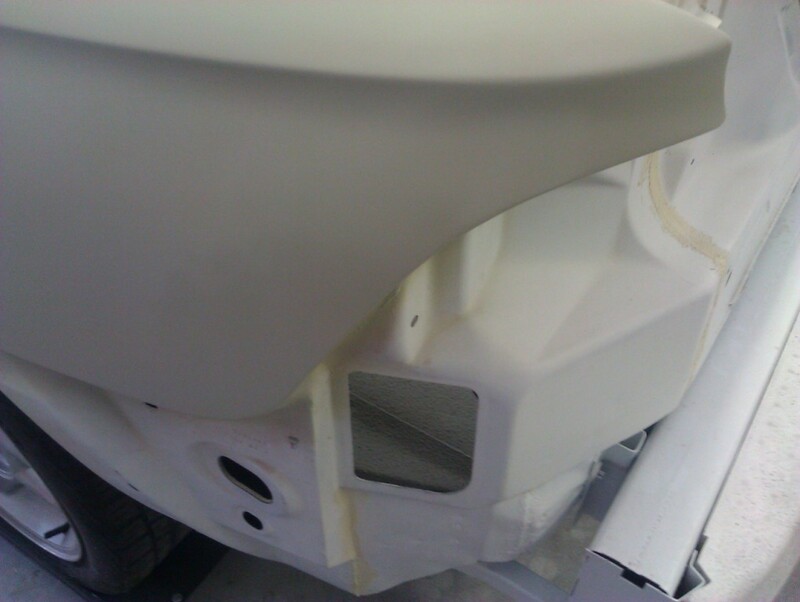 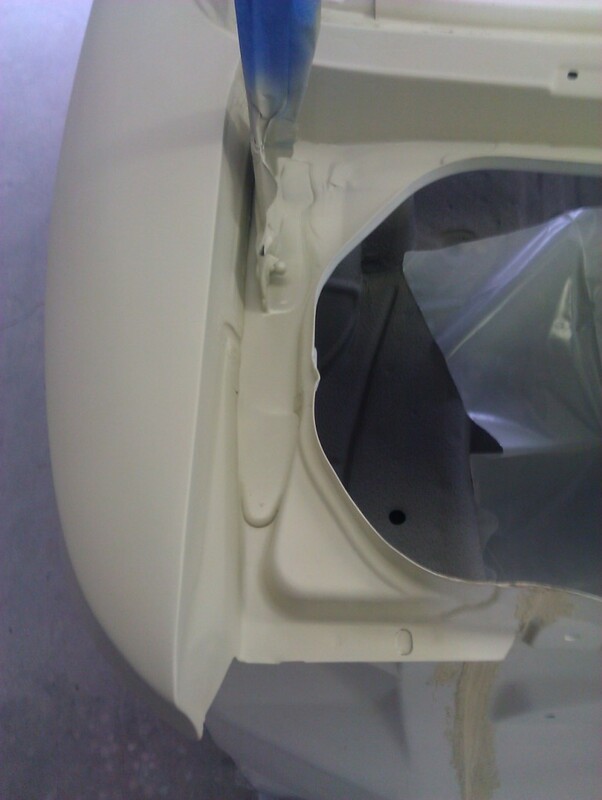 Spot-putty, filler primer and sanding took care of them. 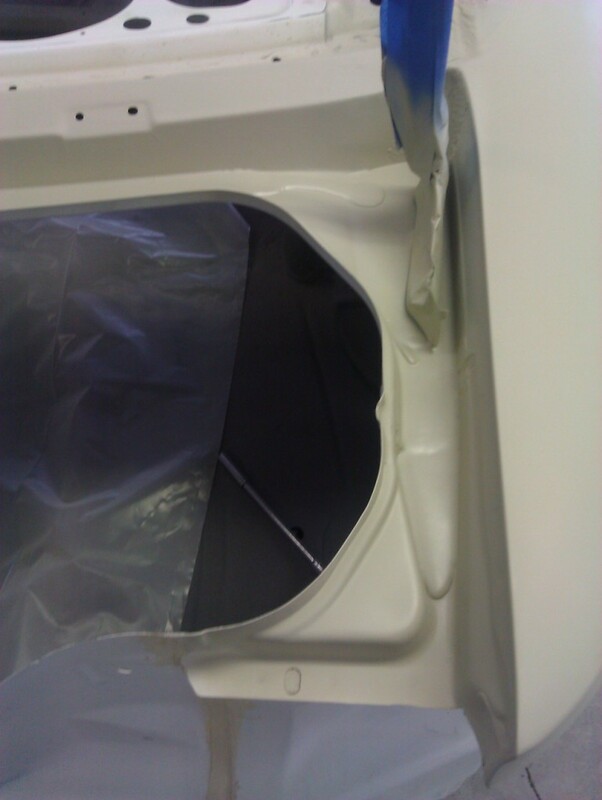 The trunk opening 'ditch' needed to be resealed using flowable seam sealer. 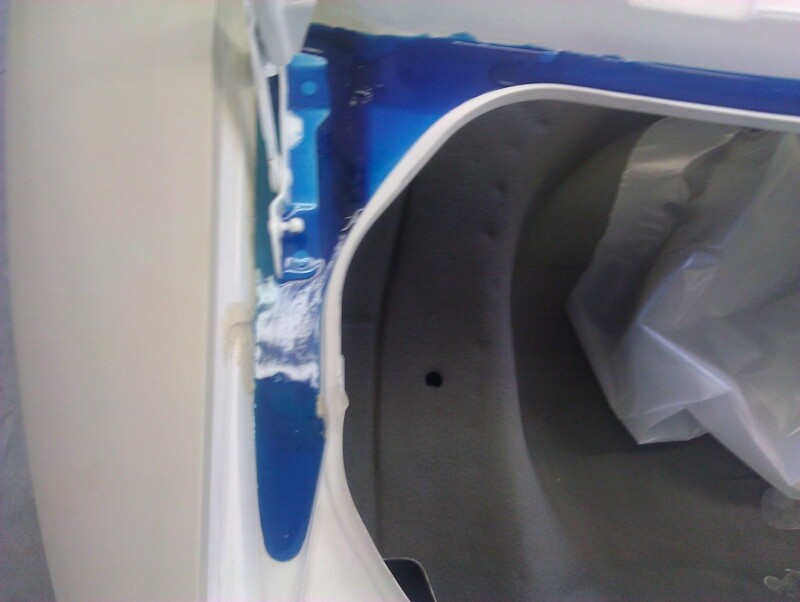 Yes, it comes out a pretty blue color. 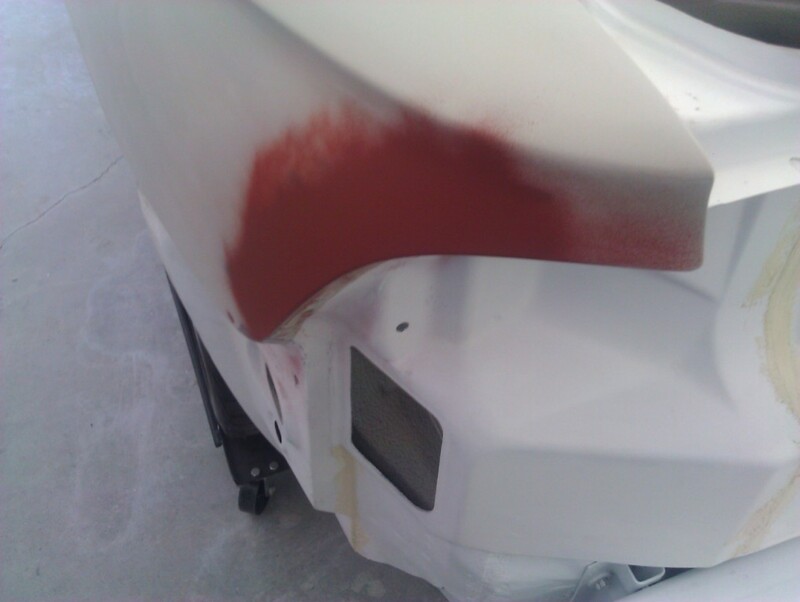 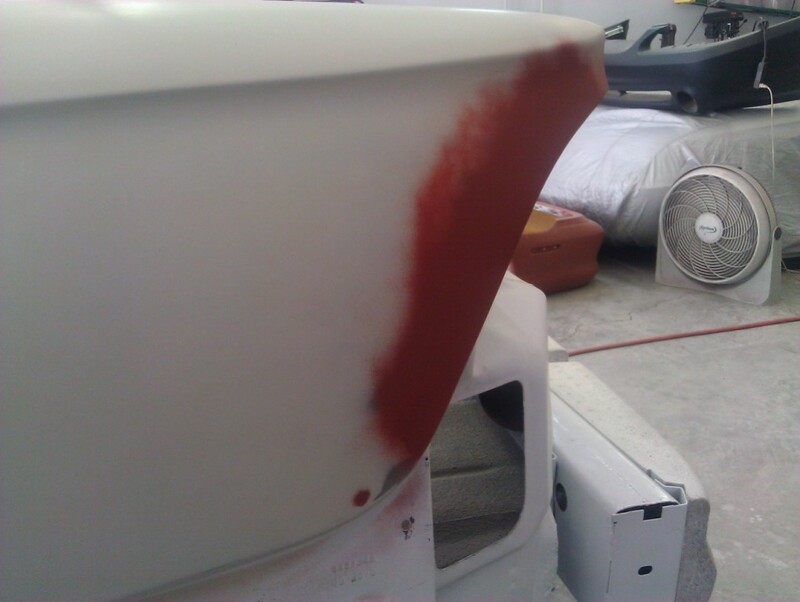 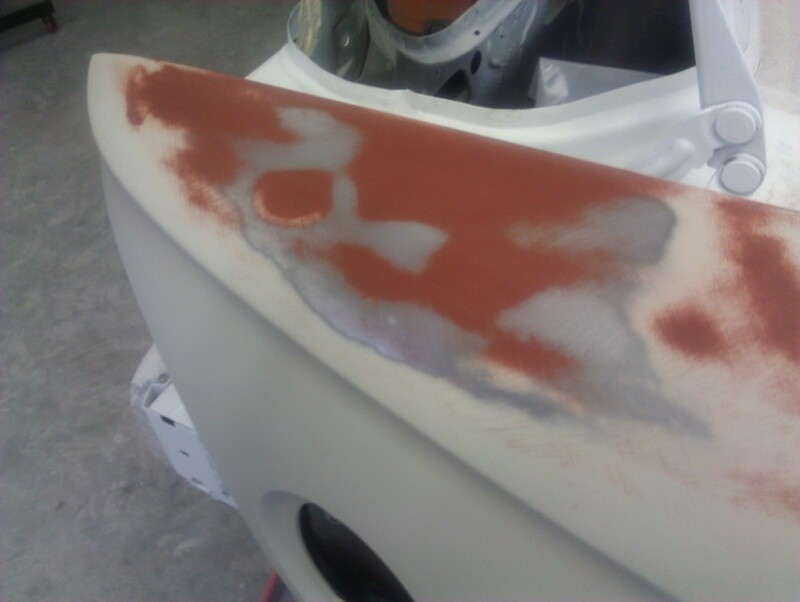 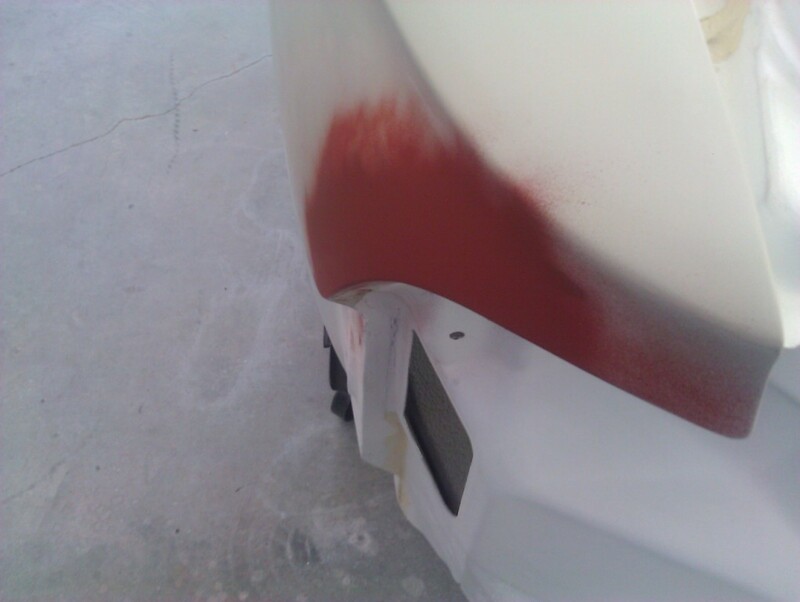 The passenger-side quarter panel had some waves on the top that needed attention. 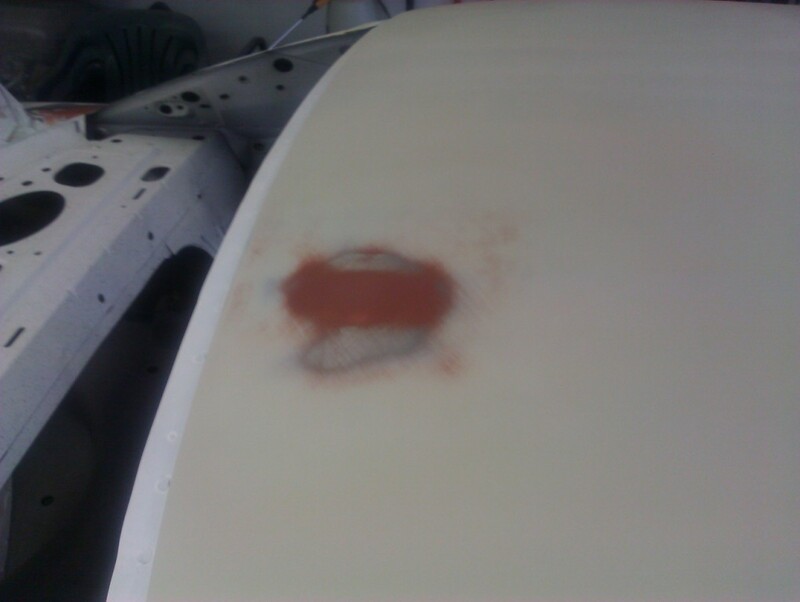 The roof had some small dings too. 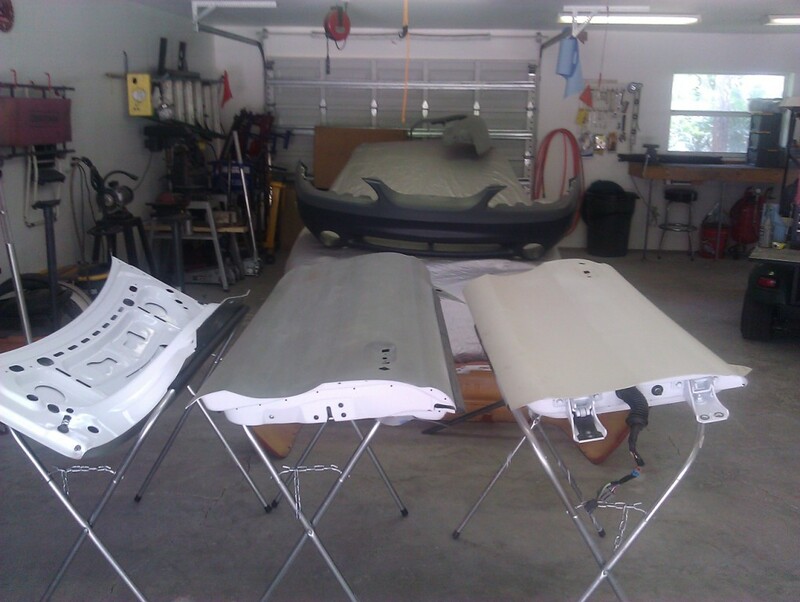 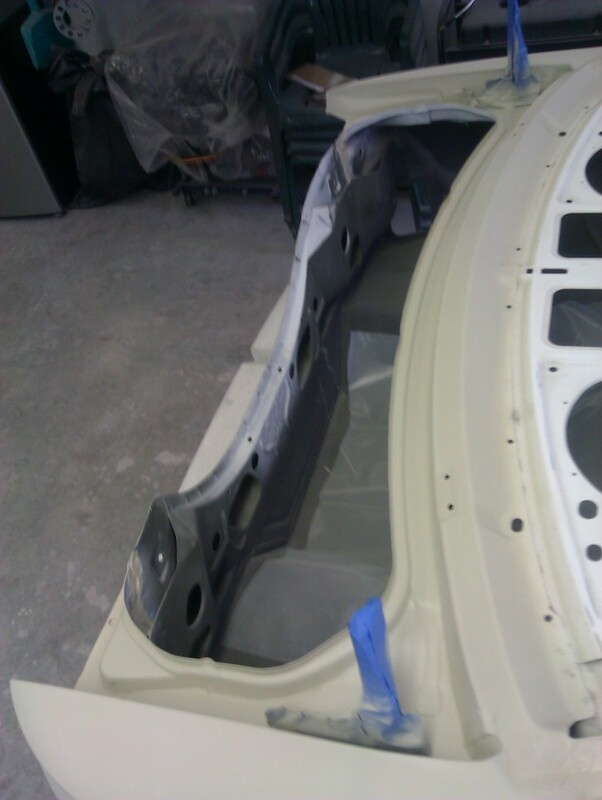 The doors were given a coat of epoxy primer to get them ready for the next step. 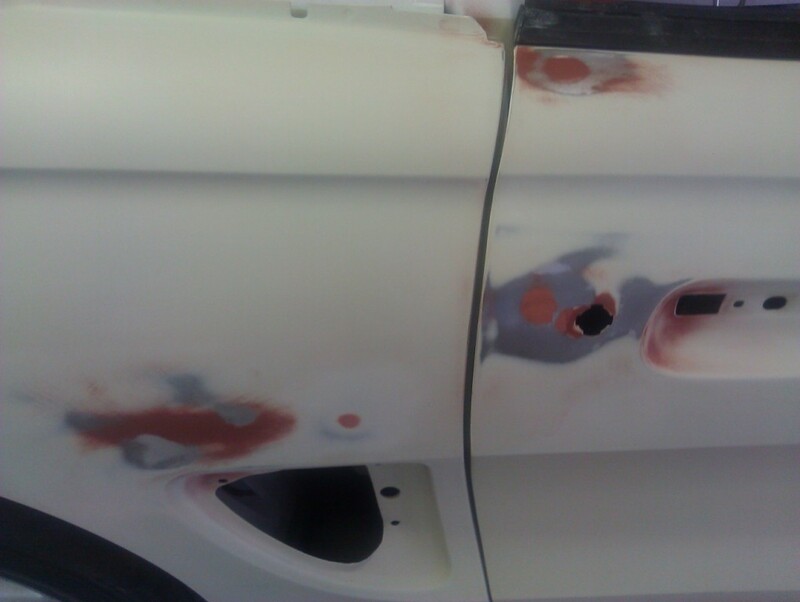 Last Modified: June 20th, 2012.